Hop into this costume and become everybody’s favorite battery mascot! Why is he so popular? It’s because the Energizer Bunny is ALWAYS down to party. No matter what time of day it is, however late it might be, if you say, “party” this pink bunny grabs his drum and drops the beat. When you toss on this furry jumpsuit, throw up the hood, and add all the included accessories, you’ll be saving parties left and right. No party will die down as long as you're there to keep things going, and going! Who knows? Maybe a camera crew will even show up to grab some footage for a new commercial. 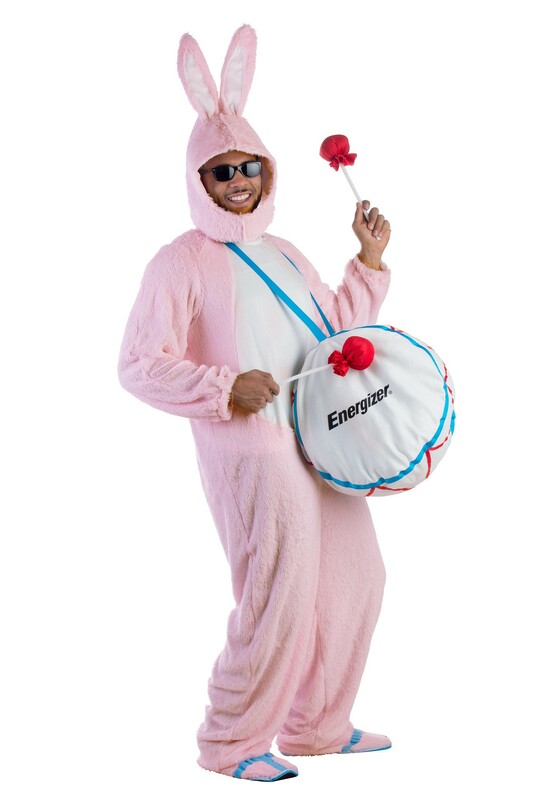 If you’re ready to be a true party animal and keep the good times rolling then this Adult Energizer Bunny Mascot Costume is the perfect thing for you. Make this Halloween the most energized one you’ve ever celebrated. Toss the drum’s band around your neck and give everyone a good beat to dance too!